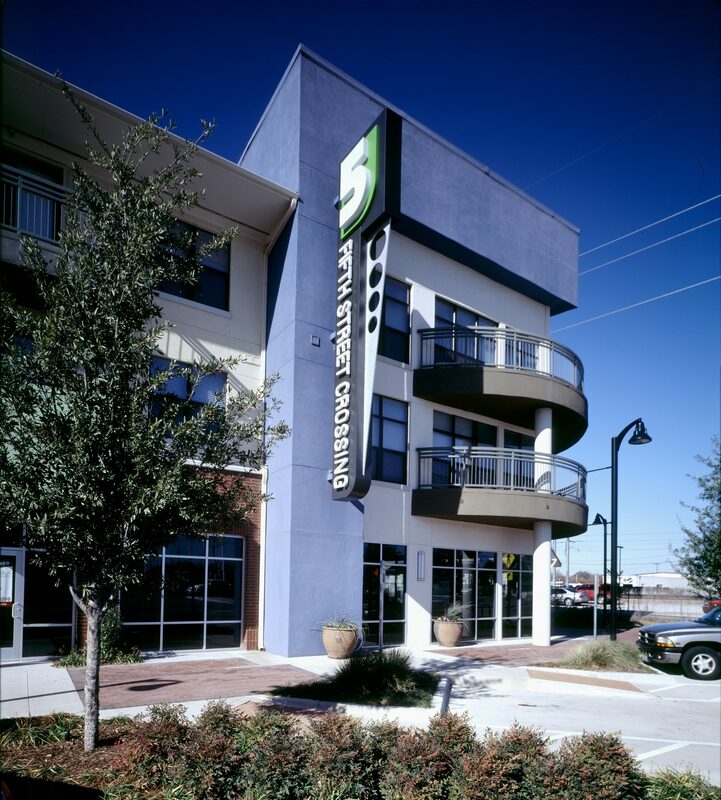 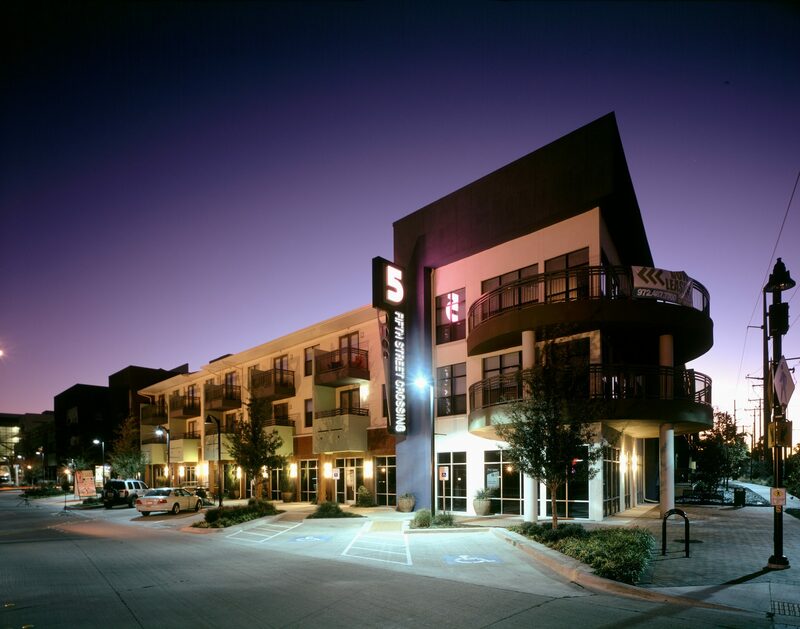 Working closely with the developer and the City of Garland, JHP developed this TOD mixed-use proposal to address the unique challenges of this high proﬁ le site in downtown Garland, including shared parking facilities with municipal uses. 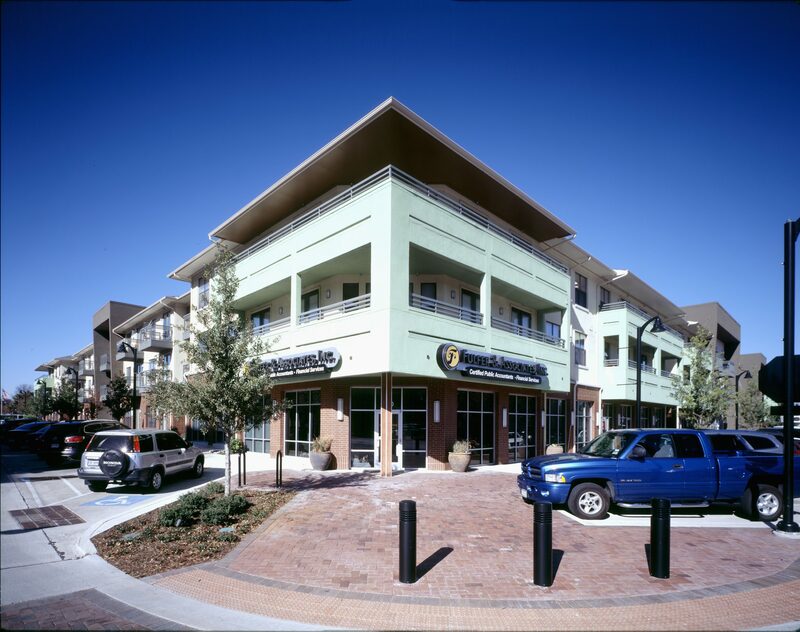 Residential and retail uses screen the internalized parking structure from the street. 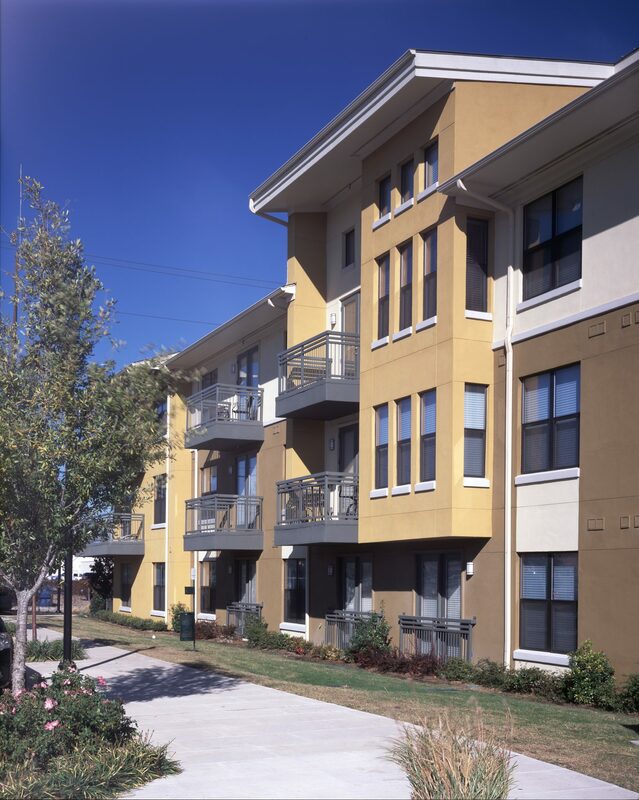 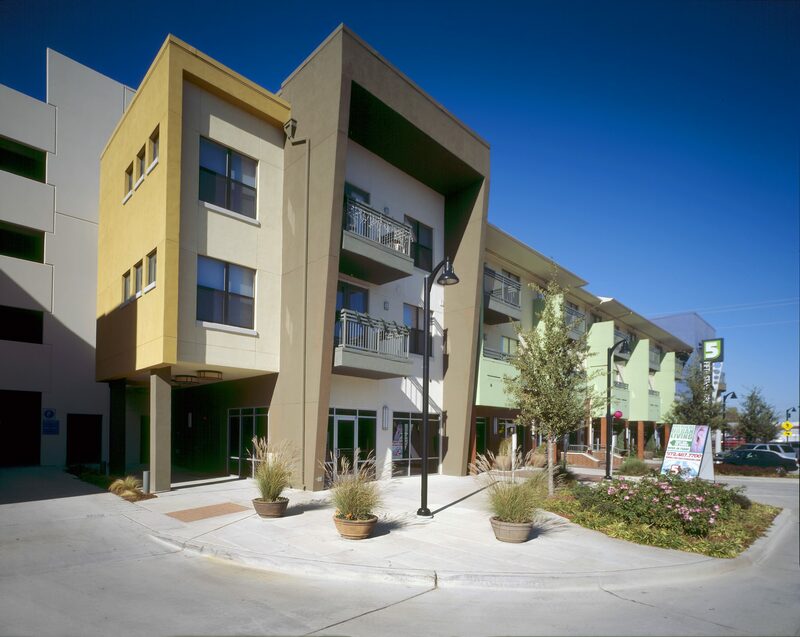 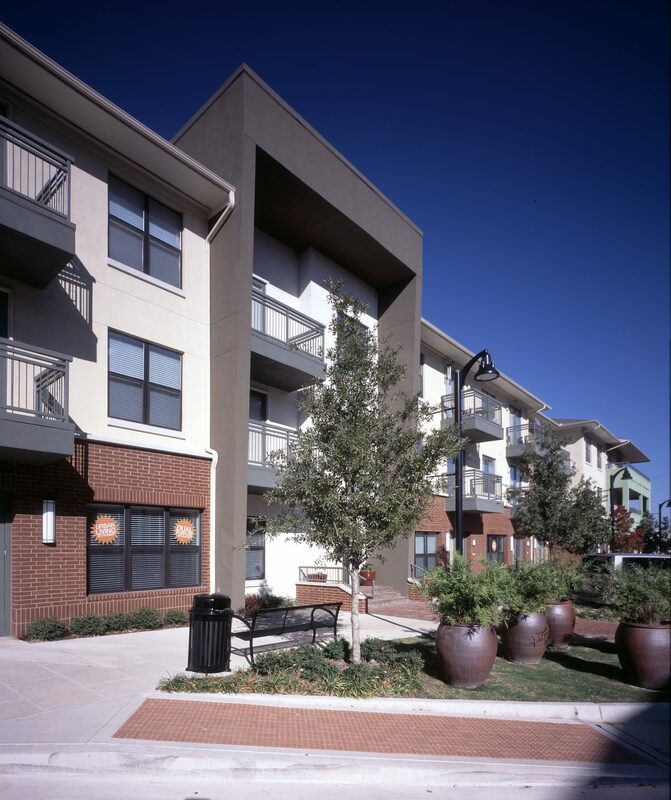 At-grade retail faces toward the Performing Arts Center to the east, while residential units front the adjacent DART line, and live-work units line the south side of the development.